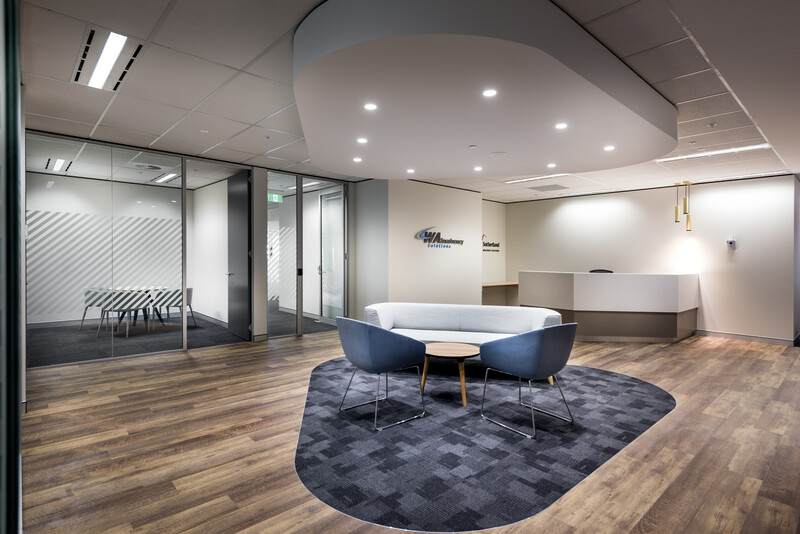 WA Insolvency Solutions (WAIS) experienced a smooth transition into their new office that InSite recently completed. WAIS relocated to Level 49, 108 St Georges Terrace in the heart of the Perth CBD and being one of Perth’s largest buildings, the view from Level 49 was hard to resist. First impressions are everything, and clients are greeted with low ceilings and bulkheads fitted out with feature mondo lighting. A feature carpet with WAIS colours create a statement befitting with WAIS’ heritage. The full floor Fitout for includes 10 offices, a Boardroom that can be transformed into 2 meeting rooms, an additional meeting room, an open plan workstation area and a staff breakout area including a kitchenette. Working with the geometric floor plate, InSite’s design team produced a creative layout which ensured all staff had equitable views and every employee was made to feel like they are part of truly dynamic business. 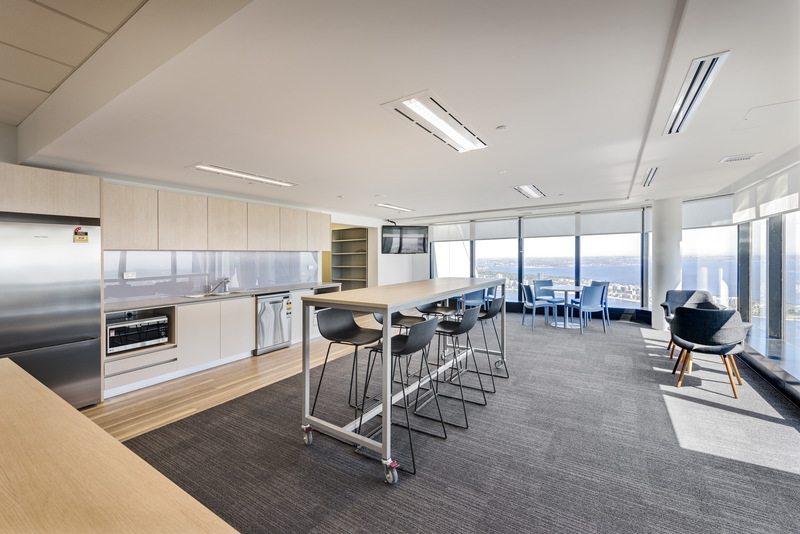 Every workstation and office shares the view overlooking the Swan River and newly established Elizabeth Quay. It was also high on the client’s list to have a Function / Break Out against the perimeter offering a line of sight across the river and Kings Park. The staff breakout serves as a multifunctional zone – complete with a kitchenette, utilities and casual meeting area – offering a flexible area for staff and clients to utilize. If you would like to discuss your upcoming project with InSite Commercial Interiors, please contact us on enq@insiteci.com.au or (08) 9422 1900 or visit us at 144 Railway Parade, West Leederville.